Did we say pumps are good? For those that can’t even be bothered to read my summary, I’ve also illustrated this post at the top right with a word cloud made up of the content of the debate! 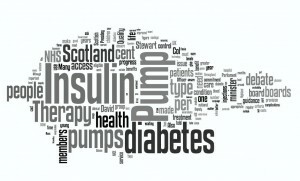 That pumps are being debated in Parliament is definitely a Good Thing and David Stewart should be congratulated for keeping diabetes and pumps on the agenda, as their provision in Scotland is shamefully low. However, whether we will see any great changes in the coming year or two remains to be seen. As always, I remain cynical but it’s nice to see diabetes isn’t being forgotten. Great to hear that the Scots are talking about this, that’s a nice first step. Now it’s down to you Tim and all your fellow Scots to help them turn their rhetoric into reality and drive them to deliver against their words. Go get ’em! I feel like dressing up in my tartan, painting my face blue, and yelling “Freeeeedom! (from MDI for diabetics)” at the top of my voice! @Tim Me thinks you’ll be in need of someone on the bagpipes, right? @Mark Naturally! There’s no situation that can’t be improved by the addition of bagpipes. And now here is the beginning of another Diabetes musical. Congrats to the Parliament on taking the first step to bring pumps into politics. I will indeed be wearing one, I’m currently on an 18-month “waiting list” for one. 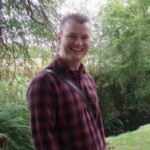 Needless to say I’m not happy with that – more posts on this topic to follow! And a big hurrah for pumps being mentioned in the Scottish Parliament! But NICE doesn’t require that you have poor control before you get a pump! Either “poor” control OR fear of hypos. Many HCPs and PCTs misinterpret this though, and its a postcode lottery throughout the UK, but Scotland is particularly bad. Wherever you are in the UK, if you get the right clinic, you’ve got a pump. Wherever you are in the UK, if you get the right clinic, you’ve got a pump. its a postcode lottery throughout the UK, but Scotland is particularly bad. 416 pumps in use in Scotland as at March 2009. Woo! Go us! Sorry, #9 appeared before #8. @Lesley I’ve re-jigged the order for you now! – so that is why my GP over here (Glasgow) looked a bit puzzled at my pump and CGM 😉 I did have a feeling that pumps were not as widespread, but they aren’t really in Denmark (my home country) either. In Denmark 0.5-1.0% of the diabetic population is pumping insulin, and even though the number is slowly rising it still very much depends on where you live as it is the local hospital that is to cover the cost, not only of the pump, but also all the supplies, and not all hospitals have room for this in their budgets. Still, by your post Tim, it seems like it is just a bit worse in Scotland. Hi Stephen – I’ll email you directly. what gets me is how come dundee gets all the funding and all the trials????? our kids in lanarkshire have no funding to allow insulin pumps to be provided… ridiculous!! !